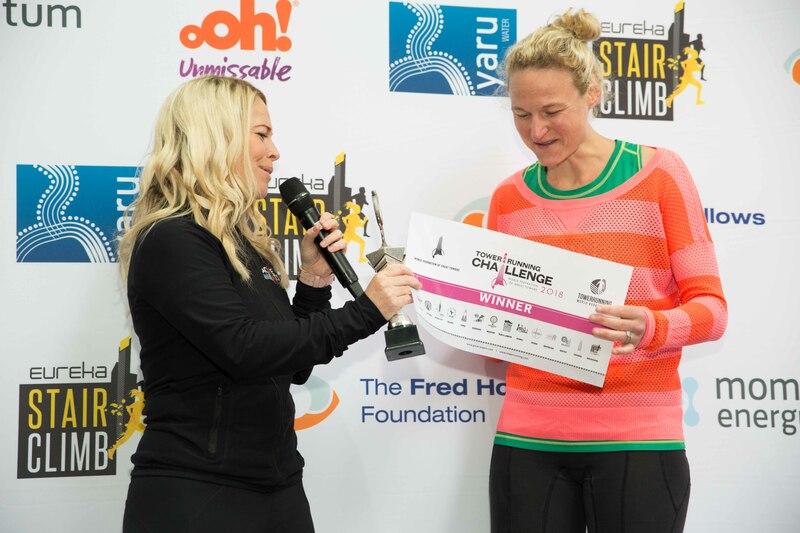 The Eureka Stair Climb is a community and fundraising event for The Fred Hollows Foundation at Australia's tallest residential building, the Eureka Tower in Southbank, Melbourne. Participants challenge themselves to climb up 1,642 stairs to level 88 - Eureka Skydeck. 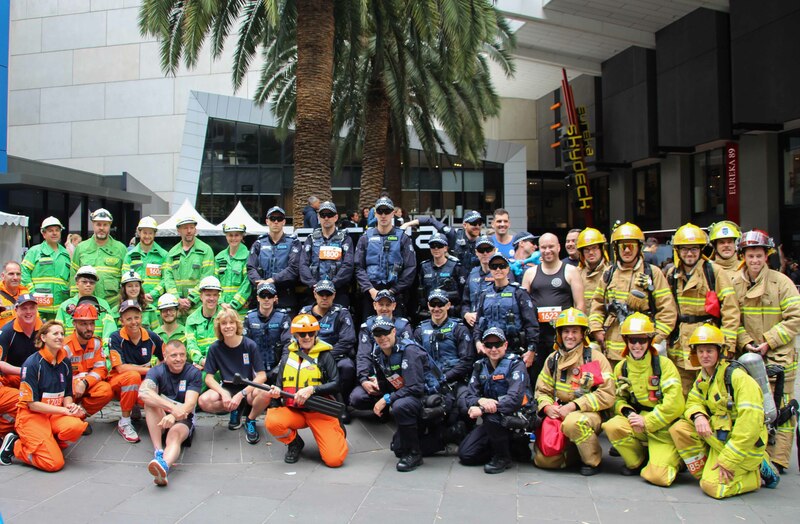 The Climb has event categories to test all ability levels, from elite athletes and emergency services workers to fitness fanatics or walkers. Anyone over 12 years of age is welcome to participate! 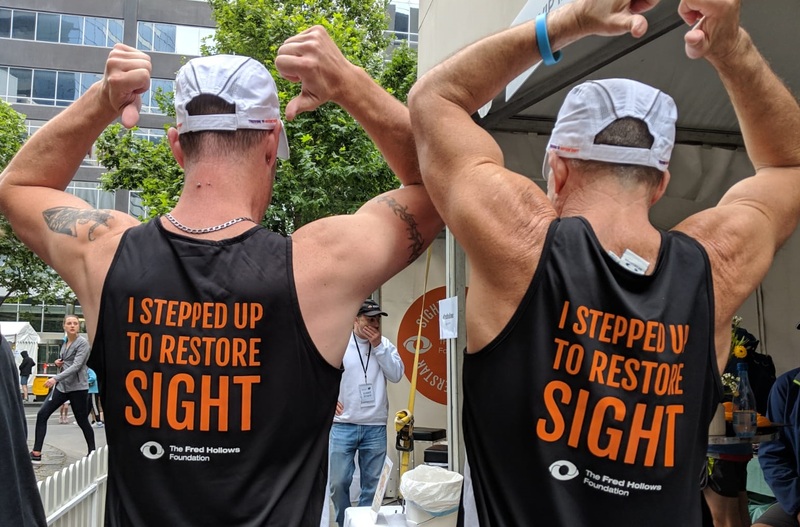 The event raises funds for The Fred Hollows Foundation, an organisation committed to keeping alive Fred Hollows' dream of ending avoidable blindness by restoring sight to people in more than 25 countries around the world. Find out more about this sight restoring work and its impact around the globe at the The Foundation website. For more detailed information about the climb, go to the Event Info page. 13 lifts travelling at up to 9 metres per second! The Eureka Skydeck, situated on the 88th floor of the tower, is the highest public vantage point (285m) in the Southern Hemisphere and you had better hold on tight…the top of the Tower can flex up to 600mm in high winds! Located on the southern banks of the Yarra River, Eureka Tower is perfectly positioned for a 360 degree, floor-to-ceiling views encompassing Melbourne’s CBD, sports precinct, Port Phillip Bay, Docklands and everything in between. Come by day for brilliant views extending to the Dandenong ranges, and by night to see the spectacular Melbourne skyline nightscape. Skydeck 88 is the only observation deck in the world that can thrill you with ‘The Edge’ – a glass cube which projects 3 metres out from the building – with you in it – suspended almost 300 metres above the ground!